This was quite a challenging mural. 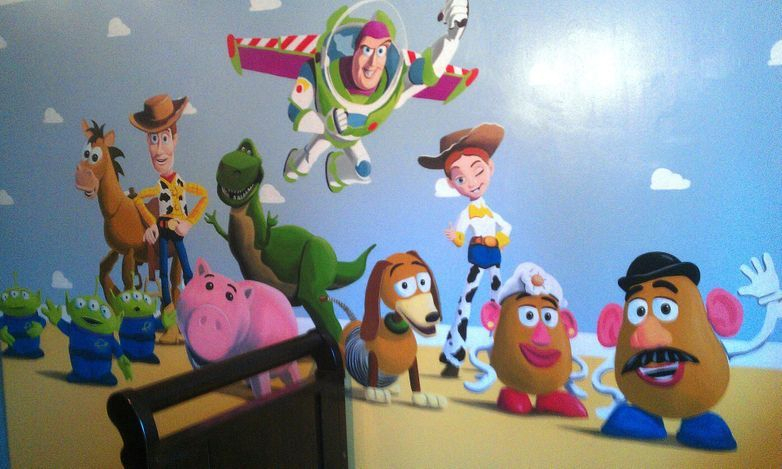 The customer wanted all her son's favourite film characters on his bedroom wall but she wanted them to look as close as possible as they do in the film. I painted the background to resemble Andy's Room who is the boy in Toy Story. 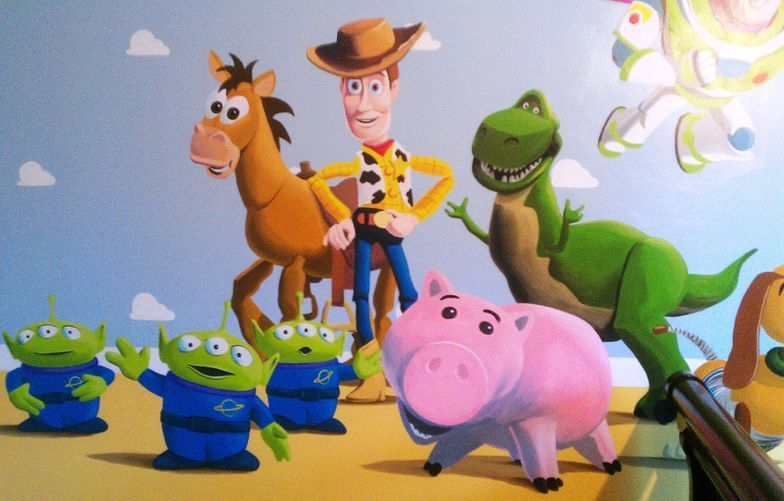 Meet Buzz Lightyear, Woody, Jessie, Bullseye, Ham, Rex and Slinky, Mr. and Mrs. 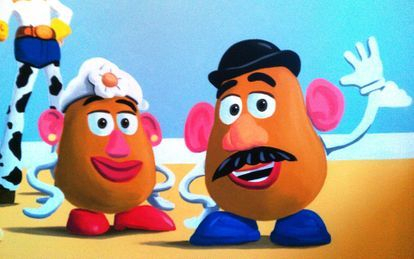 Potato Head and Three Green Aliens. Due to the detail in this mural, this one wall took four days to complete! 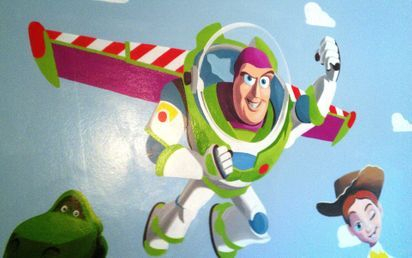 This is all hand-painted straight onto the bare plaster wall using acrylics so it is all washable and long lasting!